Not just for making calls or sending and receiving emails, this multi use device has become the “go to” gadget that turns out is most often found in your pocket. We have compiled a list of Applications requested most often by our customers and peers. While a lot of the apps on our list were very specific to a small group of professionals, we have put together a list that is a great starting place for all users. 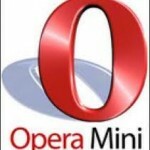 1) Opera Mini – The Blackberry does come pre-loaded with a web browser but we find is lacking in several category’s. 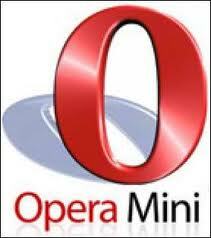 Opera seems to address all our mobile browsing issues and with that resolved we now have a powerful tool to get things on-line accomplished. No business professional should be with out access to a website simply because the built in browser was unable to get the job done. 2) Poynt – Think of Poynt as your own personal assistant, this app allows you to get phone numbers or street address of most business and retailers. You can search via cell tower location or GPS for nearby restaurants or stores. Very handy if you are trying to track down an item, you can simply call each nearby location to see if what you are looking for is in stock with out having to drive all over the place looking for it. It even allows you to search for the lowest nearby gas prices, movie schedules, local events and make reservations. 3) BeWeather – BeWeather is a visually stunning weather application for your BlackBerry. If you are running multible projects or crews and weather can be a factor it is nice to preset these locations and quickly be able to scan through each location to see what is going on. A must have when packing and making plans for your next out of town presentation. There is also a paid for version that allows you to see animated radar maps (US Only), track your location via GPS/cell and get access to instant weather advisory notifications via PUSH technology (US only). 4) AP Mobile – AP Mobile is a multimedia news portal developed by The Associated Press that provides anytime access to international, national and local news. In addition to AP’s own worldwide coverage of breaking news, sports, entertainment, politics and business, more than 1,000 AP members and third-party sources provide content for AP news wire and AP mobile news app gives you access to all of it. 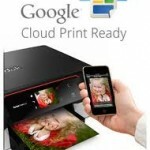 5) Printing App – Finding a great printer app that is compatible with your printer might be worth the hassle. Once setup you can send emails and other content right to your printer from your Blackberry. 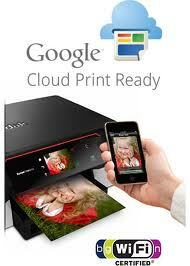 We have tried a few printing apps and have had nice success with Breezy and Google Cloud. A great app if you frequently require printing from you hand held, otherwise it may not be worth the hassle to setup. These printing apps can be a great asset for those who will use them often but all of the ones we tested can be a bit laborious during the initial setup.